The name Pfanner stands for a family, a company, a brand and a philosophy: “To do our utmost to produce high quality goods from the gifts of nature.” People and their needs are at the core of this philosophy: taste, enjoyment, health, refreshment to name but a few. 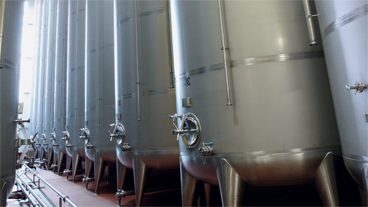 Over the course of 150 years Pfanner has gained the trust of millions of customers. Through the greatest possible diligence during processing, through innovative products and the highest quality. Apart from the main markets of Germany (market leader in iced tea since 2001), Italy and Austria, other central European countries are also important strategic markets. Pfanner successfully utilises the opportunities of the EU expansion. Export rates lie at more than 80%. Pfanner builds on Austria‘s excellence as an economic location. 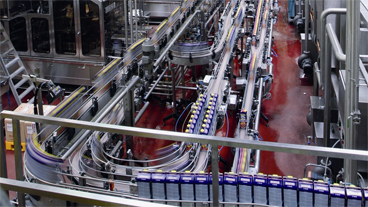 Apart from Lauterbach, Enns is becoming Pfanner‘s main production site – both for fruit processing and the bottling of fruit juices and iced teas. The company‘s great drive for innovation is reflected in the large number of new products and concepts every year – also a main focus in terms of turn-over development. Pfanner is one of Europe‘s largest fruit processing companies, especially in the processing of apples, pears and red fruit. These raw materials form the basis of Pfanner‘s fruit juices. 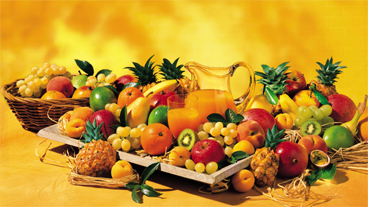 Pfanner offers a large selection of ready-to-drink fruit juices, nectars and iced teas as well as wellness teas. Only ingredients of the highest quality are used. Pfanner iced tea is brewed directly using the best teas and refined with fruit juices. 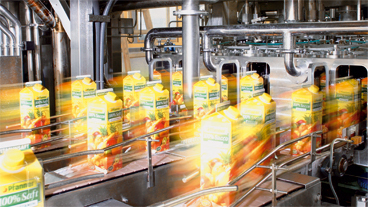 Pfanner is also active in the “co-packing” area; a great variety of package sizes are produced (gable packs, PET-bottles, cans, glass bottles). More than 20 years ago, on 5th May 1984, Pfanner was awarded the National Coat of Arms by the then vice chancellor and Secretary of Trade and Industry, Dr. Norbert Steger. Councillor of commerce Hans Pfanner accepted the award on behalf of the Pfanner family. To this day, the company is proud to have received this honour. The Austrian Coat of Arms is especially valued by Pfanner‘s foreign partners and customers. The award brings with it a high degree of responsibility. Pfanner markets a great variety of Austrian products to consumers in more than 70 countries from all over the world – therefore stimulating interest in Austria.